1. Buy expensive plane-ticket, get expensive hotel, kennel the dog, etc. 2. 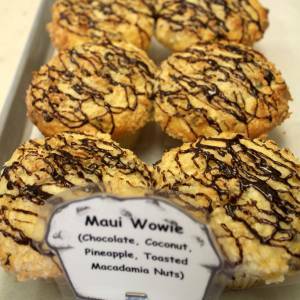 Maui Wowie Muffin munch! It’s like a vacation in your mouth!